My granddaughter Mary’s fifth birthday is coming up and I wanted to make something special for her. 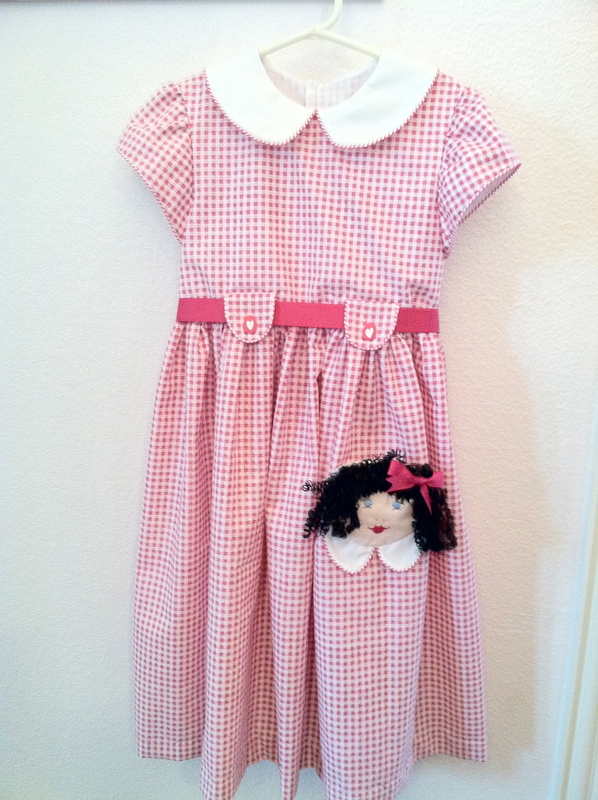 She loves dresses, dolls and pink, so I couldn’t think of anything better than a pink dress with a doll face pocket on it. Here is the beauty! 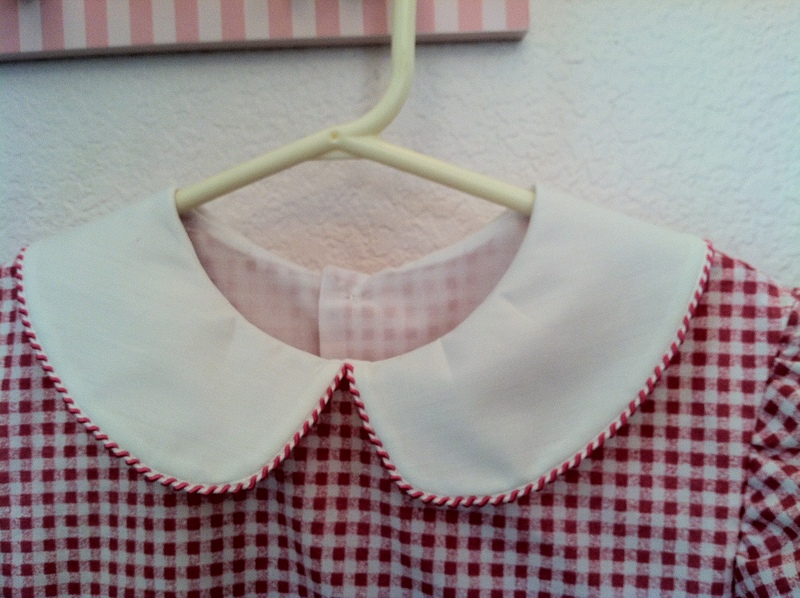 The collar is trimmed in a twisted piping of pink and white The sleeves are capped and trimmed in the same piping. 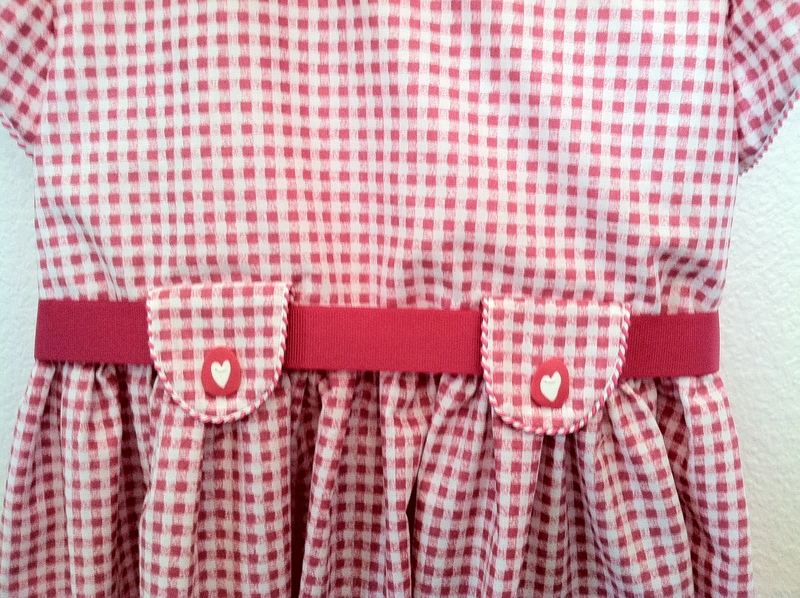 This time the belt is actually a piece of ribbon held by tabs sewn on the front of the dress. How lucky was I to find ribbon the exact same pink as the fabric? Doesn’t the ribbon make a sweet bow in the back? Each tab has a button holding it to the dress. Again, the luck finding the matching pink! 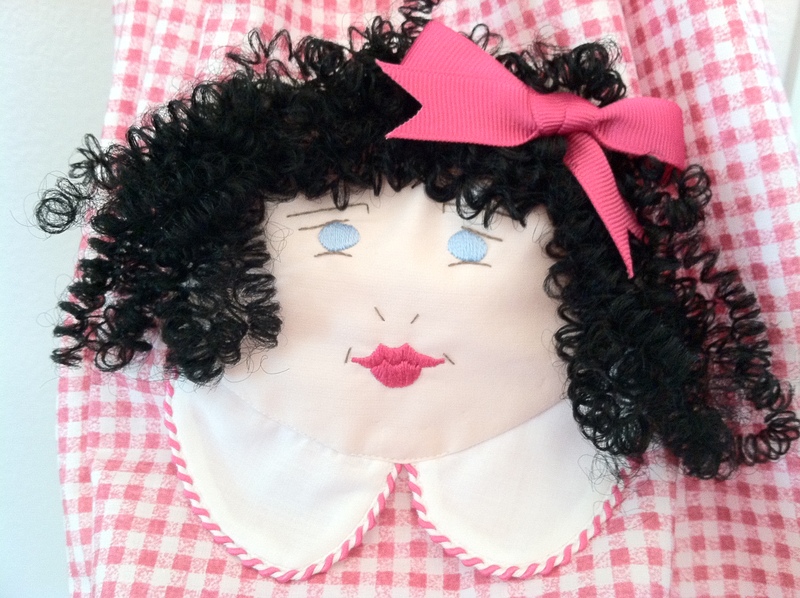 The cute, cute, cute doll face was embroidered on a piece of fabric and sewn into a pocket. 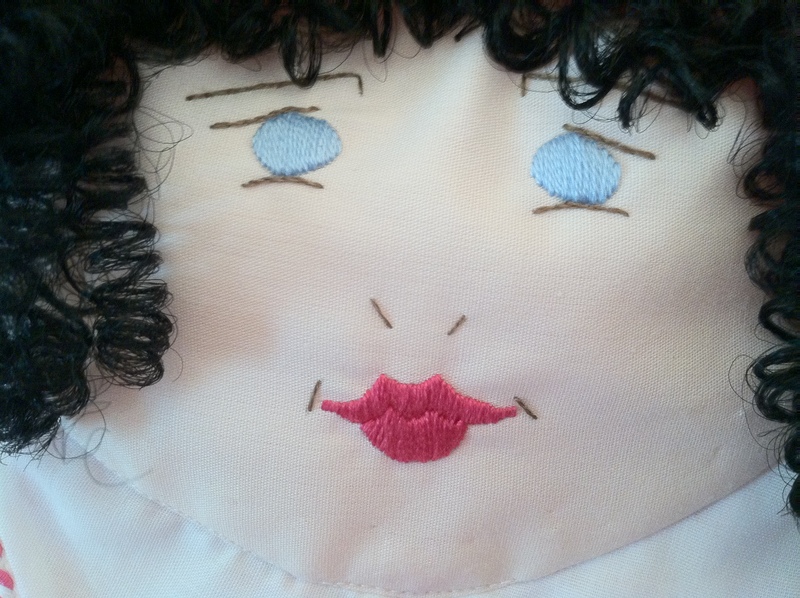 The doll hair was sewn in place, but yarn could have been used also. 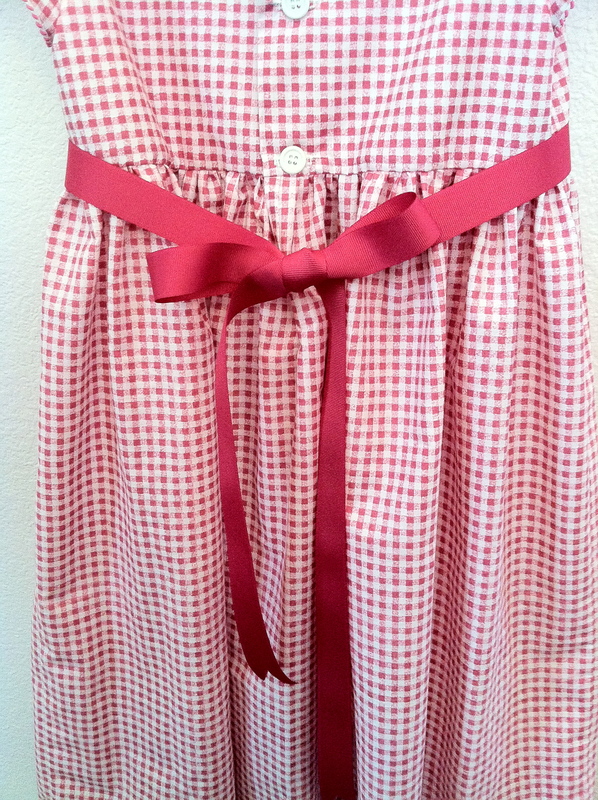 And a matching bow tacked on top. Any hair style can be done from curls to pigtails to ponytails to straight. 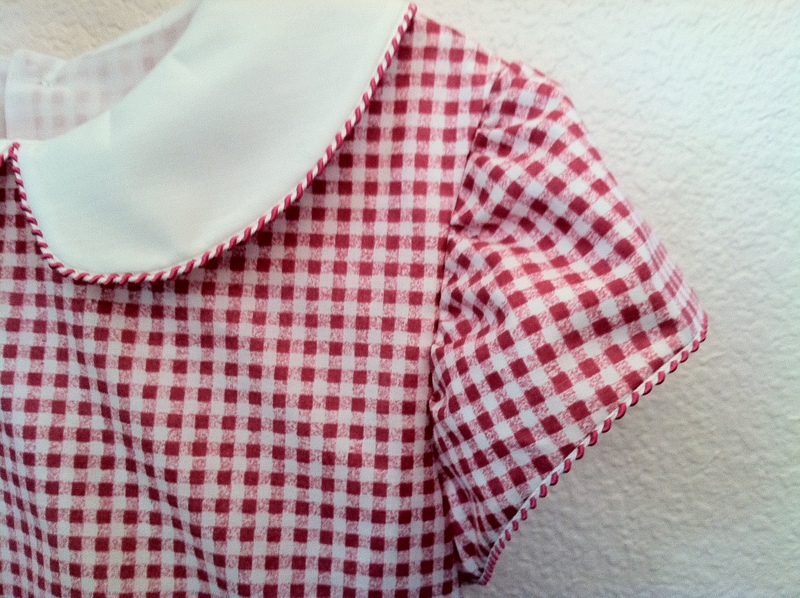 A small matching collar with matching trim was made and attached to the pocket face. 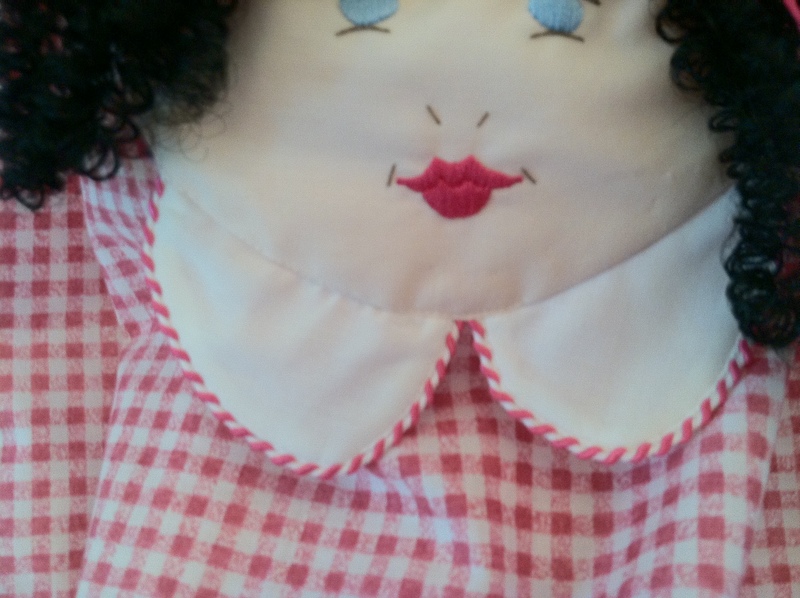 Then the whole pocket was sewn to the dress from one side, around the bottom along the seam between the face and collar and up the other side. Leave the top open for hiding little treasures and pocket dolls. I had so much fun making this dress. I’m sure Mary will have fun wearing it too because it has “twirl factor”. That’s what she calls the amount of fabric that spins out when she twirls in a dress. Besides being pink, “twirl factor” is a must in dress wear these days. I think I might have to make another of these dresses in a larger size also. When I told her mother about Mary’s birthday dress, she excitedly chimed, “I want one too!” Well really, who wouldn’t? Okay, now I’m going to have to make two big girl size dresses – one for Mary’s mom and one for ME!!! 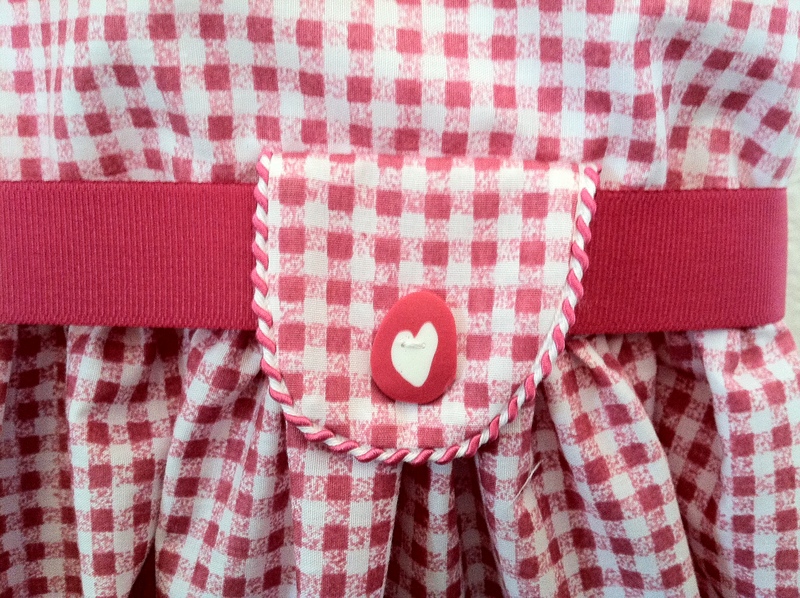 New rule – every girl should have a dolly pocket dress once in her life! 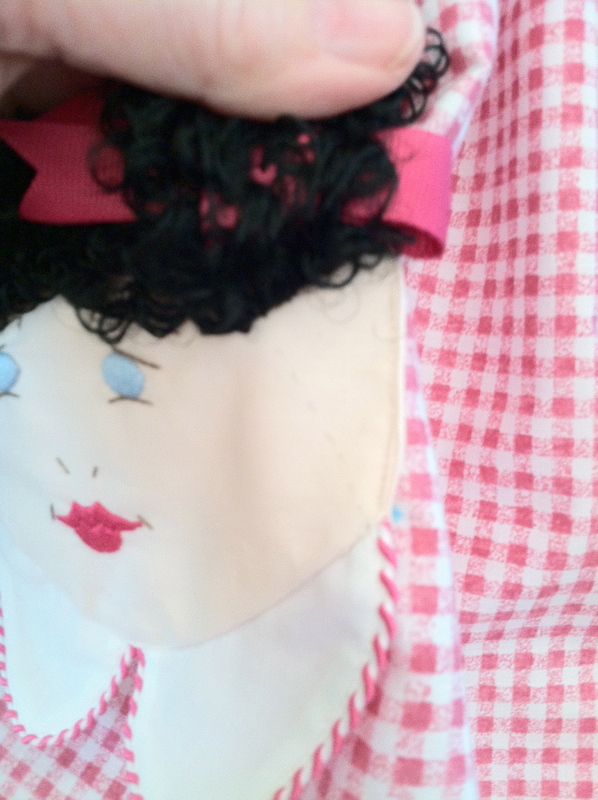 This entry was posted in In the Sewing Room and tagged dolls, fancy pockets, pink, sewing by The Village Granny. Bookmark the permalink. Can’t have too much twirl factor! At least I’ve never seen it! It must be like flying! 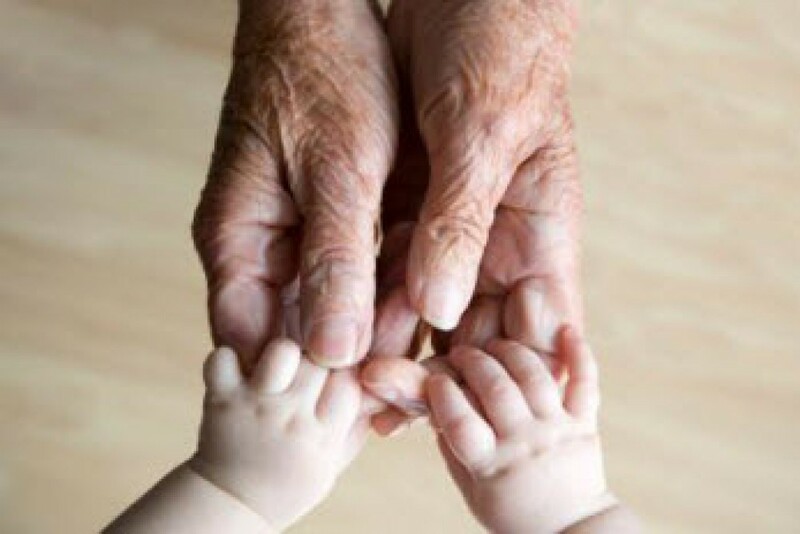 Thank you for kind words. I know – I have to make soooo many now! Everyone wants one! How have we lived so long without a dolly pocket dress?